What's your favourite sandwich combo? The other day I was talking to a friend and she said her's was tuna, mayo and banana. Yes! precisely these three things. Like you I did a double take and asked her again. She solemnly nodded her head and told me to try it once before being all judgemental, her words, not mine. 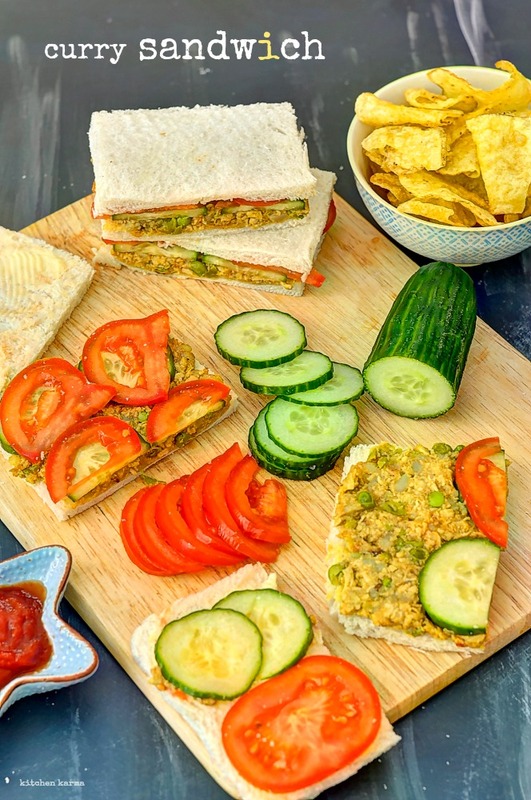 I am not sure I am ready yet to try that, but I have got for you a stunningly easy yet flavourful sandwich combination. This post is part of Lurpak's Freestyle Food Month. Lurpark guys have done a survey of the lunchtime eating habits of 2000 office workers and found that three in every ten tuck in exactly the same without fail every lunchtime. I am sure my husband was part of this three out of every ten cos he eats his ham & cheese without fail every single lunch. I mean seriously! So the Lurpak guys have decided to go freestyle and encourage people to try new flavour options and create new combinations. This is right up my alley so of course I had to take this up. Initially I was considering a lot of different flavour combinations but then I remembered something my mother used to make for us when we were kids. 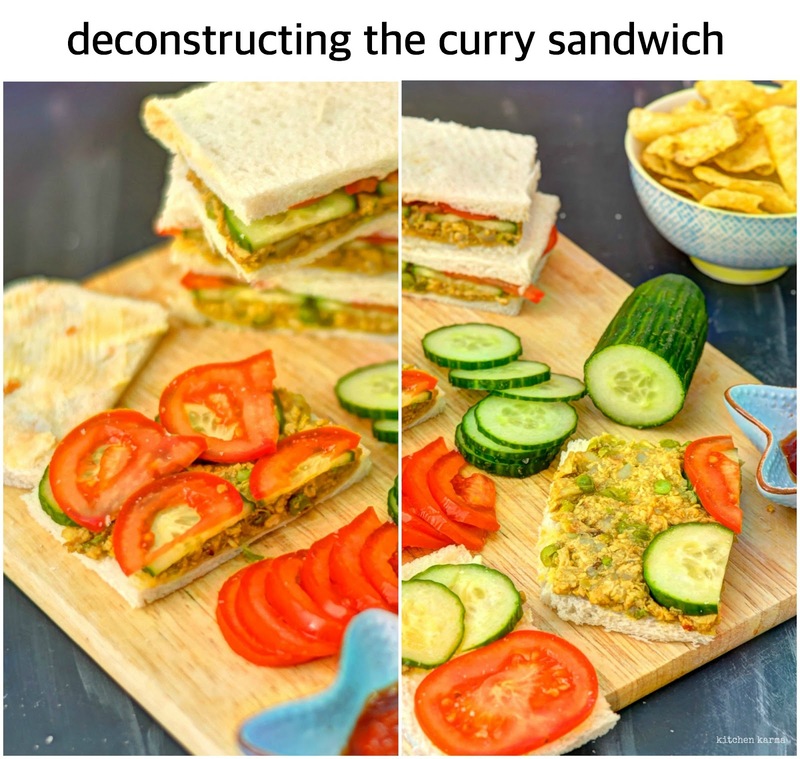 When in a hurry she used to use up leftover curries as sandwich filling. And I can tell you those were our absolute favourite. If at this stage you are thinking that you don't make curry at home, no fear, you must be sometimes doing curry take-aways. 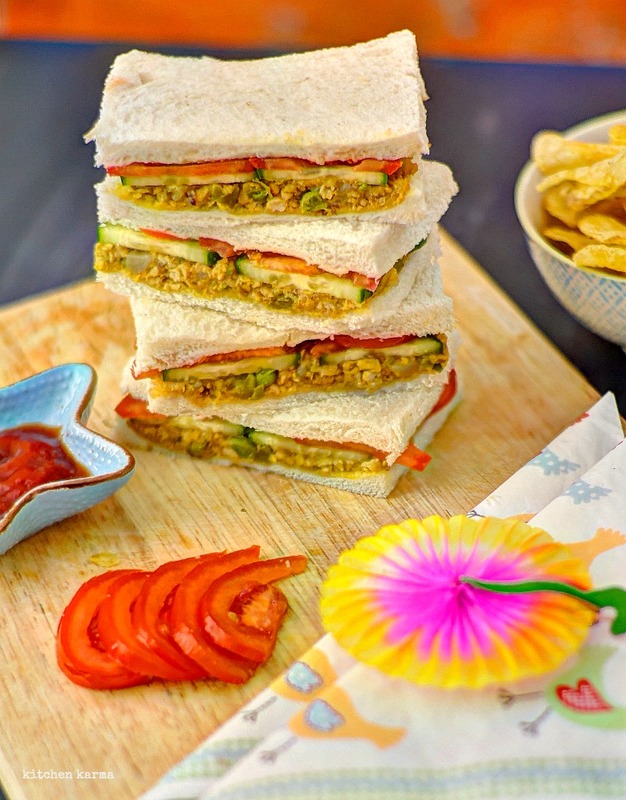 Whatever you have leftover from your curry night makes a wonderful sandwich the next day. If you have chicken or meat leftover, throw away most of the gravy, shred the pieces mix with the little remaining gravy, spread it on bread and make yourself the most flavourful sandwich. You can make this with any leftover curry, you could also mix remaining veggies like saag aloo or Bombay aloo with the leftover pieces of meat and create a completely new flavour combination. Let me tell you how to do it. vi. Tomato slices, you can add lettuce, onion, radish, rocket leaves. The options are endless. Give this super simple sandwich a try, you will love it. In case you want to know more about the about the Lurpak challenge, there's a bit of good news. From 23 June, our Lurpak Food Truck will be touring London offering good food lovers a free lunch boasting a range of freestyle combinations. From Peach and Ricotta on Raisin Bread, to Bacon, Kale and Avocado sandwiches, it’s all about trying something new. No recipe, no plan, no carefully measured ingredients. That’s freestyle.” I have listed the truck dates below. These sandwiches have been layered so well. I actually watched James Martin make a salmon and watercress sandwich in a round sourdough bread and when he assembled it and sliced it through it looked just like this. Delicious. Hi Suchi, wow... your curry sandwich look awesome. You spread it so neat and tidy and very impressive photography skill.